Put the oven on 210 degrees. Line a baking tray with tinfoil. Lay 4 slices of bacon in the tray. In another tray add a salmon steak, skin side down. Drizzle with olive oil salt and pepper. 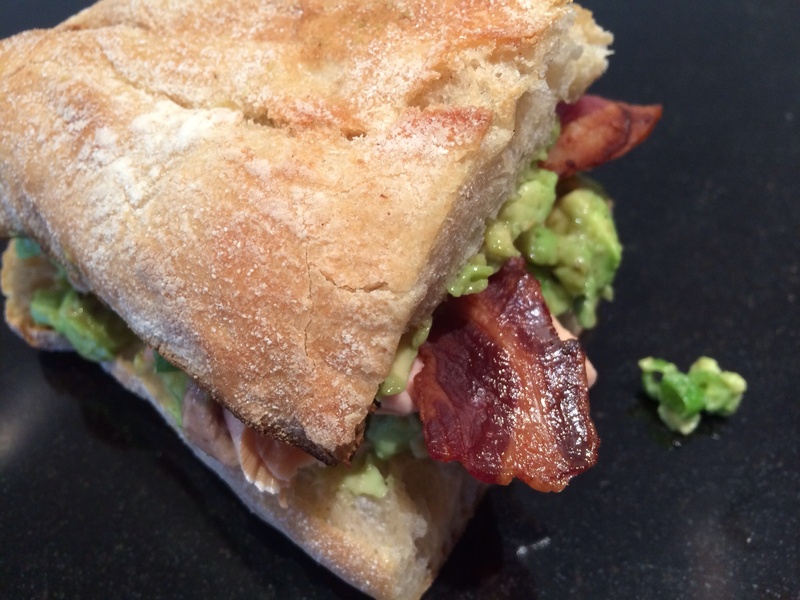 Slice half a red chilli, chop a couple of avocados, a good squeeze of lime juice, 2 spring onions finely sliced. Salt and pepper and a little cayenne pepper. Give everything a good mix. When the oven is hot put the bacon tray in – approx 15 minutes til it’s nice and crispy and browned. 5 minutes after the bacon goes in add the salmon to the oven. The salmon will need 8-10 minutes. Slice the ciabatta in half lengthways and toast. 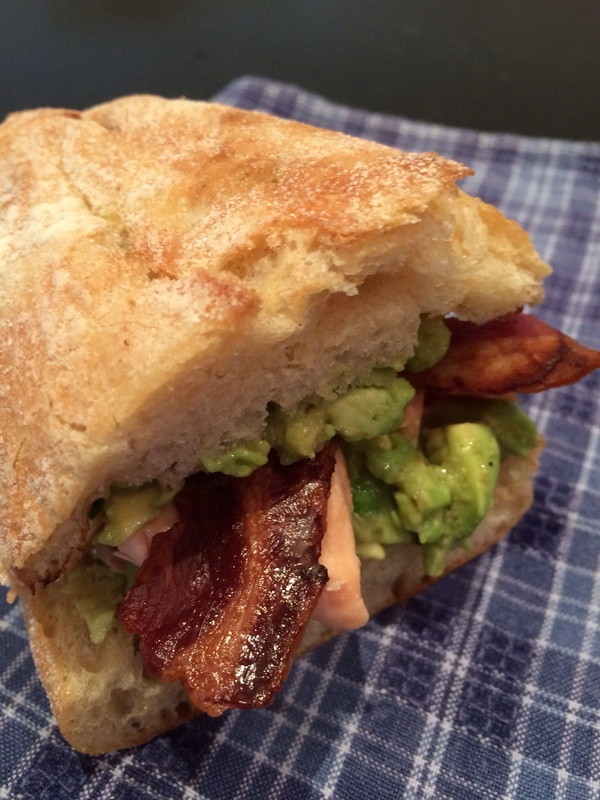 On one half of the bread spread half of the guacamole mix, the salmon (flaked) and the bacon. On the other half spread more of the guacamole mix and sandwich together. Cut in half. Delicious!